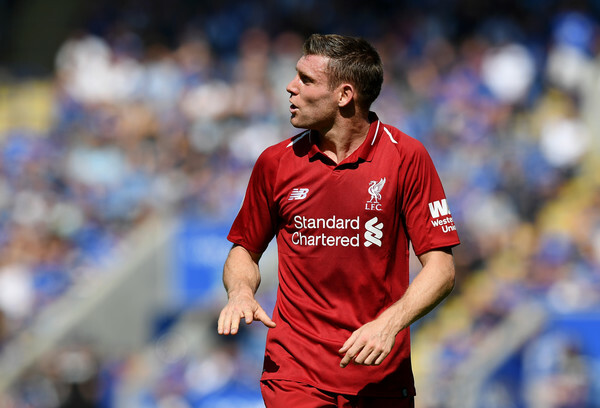 Liverpool stalwart James Milner has revealed that he was banned from wearing red as a kid because of his father's hate for Manchester United. James Milner of Liverpool reacts during the Premier League match between Leicester City and Liverpool FC at The King Power Stadium on September 1, 2018 in Leicester, United Kingdom. The 32-year-old grew up in a Leeds United-supporting household and was on the books at Elland Road from the age of 10. We all know how much United and Leeds hate each other, thus that hatred for the Red Devils meant Milner never owned any red shirts growing up due to his father's allegiances to the Yorkshire club. In fact, with the exception of a one-month loan spell at Swindon Town in 2003, Milner had never played for a club with red as their home colours until he joined ​Liverpool in 2015. Obviously Leeds fans are brought up to dislike Manchester United, as rivals, so red wasn't allowed. I didn't have any red shirts or anything, and the first time I ever wore it was probably for England. He did joke when I signed for Liverpool that it was the first time he'd be happy to see me regularly in red.